Borussia Dortmund will be looking to close the gap on the Bundesliga leaders when they round out 2016 at home to an improving FC Augsburg on Tuesday (kick-off 20:00CET/19:00GMT). With only one win in their last four Bundesliga outings, Dortmund will be determined to get back on a track against an Augsburg side they beat three times in all competitions last season. After draws against 1. FC Köln and TSG 1899 Hoffenheim, Thomas Tuchel's side have slipped 10 points behind leaders FC Bayern München and RB Leipzig, who meet at the Allianz Arena on Wednesday. 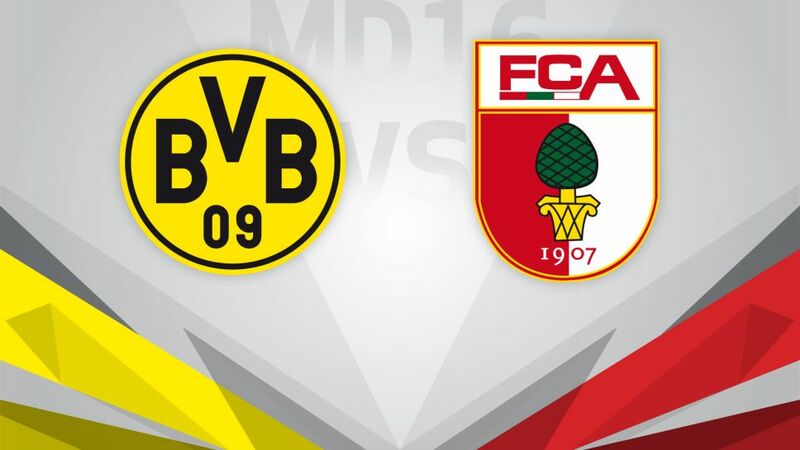 They will see this final outing of the year as a chance to boost their title hopes, while the Bundesliga's top scorer, Pierre-Emerick Aubameyang, will be looking to add to his two league hat-tricks against FCA. Augsburg claimed their first win in five Bundesliga matches last time out, as they edged Borussia Mönchengladbach. A positive start for interim coach Manuel Baum, who took over from Dirk Schuster last week. In spite of a blip against Hamburger SV on Matchday 14, Die Fuggerstädter have had some encouraging results in recent weeks, drawing with high-fliers Hertha Berlin, Köln and Eintracht Frankfurt. If they can secure just their second ever win over Dortmund, they could even move into the top half of the table for the first time this season.